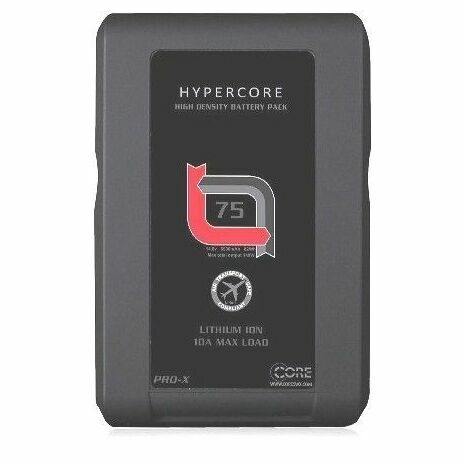 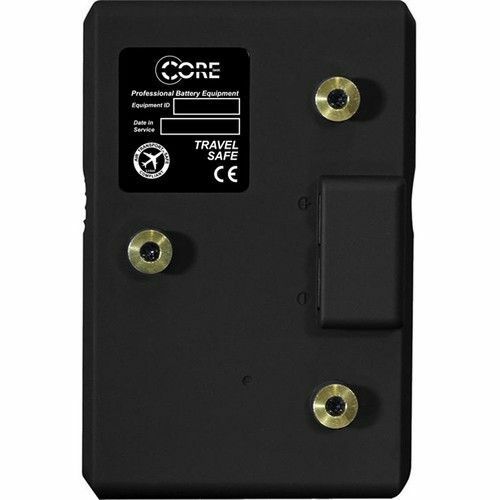 Retaining all the major features of the original HyperCore battery, the Core SWX HyperCore Slim is simply a slimmer version intended for UAV and gimbal applications, as well as any other application requiring a low-profile battery. Rated at 82Wh nominal, the HyperCore Slim is also TSA-friendly, falling under the 98Wh air travel limitations, and this is reinforced by the "Air Travel Compliant" logo on the front of the battery. The HyperCore cell is known for being able to handle 10A draws for extended periods without diminishing service life, so you can rely on the battery for a long time. However, being a about an inch slimmer than the average battery, it also provides the benefit of being able to clear most, if not all, gimbal rails. In addition to this advantage, the HyperCore Slim also offers 1,000 charge/discharge cycles, safety sensors, D-tap output, advanced hibernation feature, quick-glance 4-LED gauge on the side, and charge routine management, and an over-molded, rubberized housing that both protects against impacts as well as provides an ergonomic, non-slip handle. Based on a 25W load, the HyperCore Slim is estimated to run for approximately 3.2 hours. 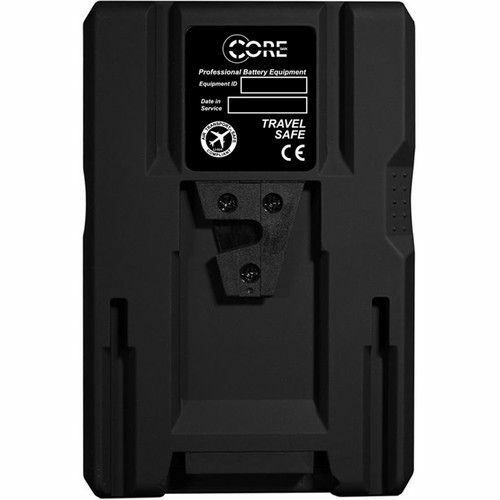 (Communicates exact % of battery life to RED viewfinder LCD). Note: The HyperCore Slim RED can be used on non-RED cameras as well, but you will only be able to get basic information communicated to the viewfinder. 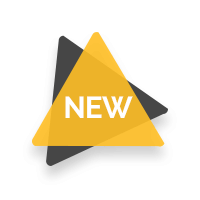 LILLIPUT BM280 - 3G/6G : 4K 28"